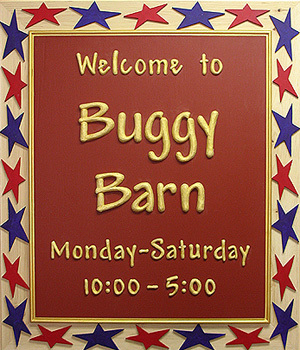 The sign is made from 3'4" pine, Mdo plywood and high density urethane foam. The frame and panel were assembled and decorated with a 3/8" bead moulding. The copy was cut out, sculpted and applied. 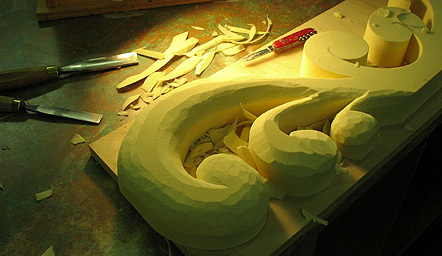 The egret and large copy are cut from high density uretane foam cut out, sculpted and applied. It is finished with artist's acrylic paints. The small copy is routered into the sign face. The sign is made up of 6 layers of clear heart vertical grain western red cedar and finished with artist's acrylic paints. Custom mounting polished steel pins with shaped clamps were designed and manufactured to clamp onto the roof rack of a Land Rover. 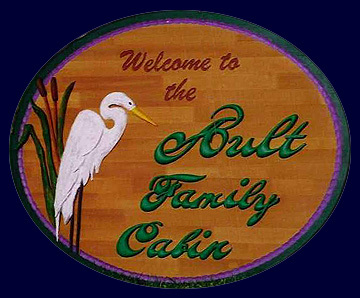 The double sided sign is made up of cut out, sculpted and carved pieces with hand carved and routered copy. The vehicle was cut out, carved, painted and applied. All sign edges are hand hewn and backgrounds are textured. The Design Factory designed this sign and components based of an illustration in a Land Rover advertising piece. 20" high and 60" long, 4 3/4" thick. The sign blank is medium density overlay plywood cut to shape. The border is made from 2" thick high density urethane foam cut out, glued to the MDO and carved and sanded to shape. The letters are cut out of 2" thick high density urethane foam, shaped and glued in place. The border and letters are painted with metallic gold paint. The background is dark green glass smaltz glued to the MDO. The finished sign is mounted to the building on a custom made aluminum frame. 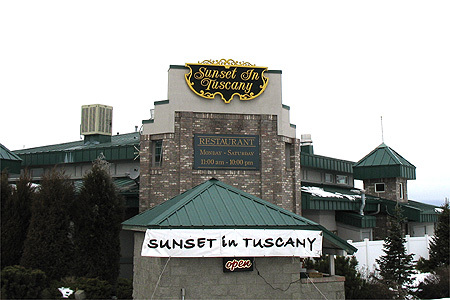 The Design Factory designed and manufactured all elements of this sign.